Symbiosis Entrance Test (SET) 2019 Admit Card has been released on 24th April 2019. 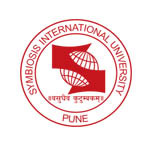 It is managed by the Symbiosis International University. It is a university level entrance exam to get admission in various UG courses. SET is organized once in a year. After qualifying the exam, candidates can get admission in the university and its affiliated institutions. From the 2018 year, the university organizes separate exams for law [Symbiosis Law Admission Test (SLAT)], engineering [SET-Engineering as SIT Engineering Entrance Exam (SITEEE)], design [Symbiosis Entrance Exam for Design (SEED)] & SET-General for other courses. Here, we have mentioned the details of Symbiosis Entrance Exam (SET 2019) including application form, eligibility, exam dates, exam pattern, syllabus and admission etc. Symbiosis Entrance Test (SET) 2019 Admit Card has been released on 24th April 2019. Check here for admit card details. Here, candidates can get the official SET exam dates. The university has released the SET admit card on 24th April 2019. Candidates can download their admit card till the date of examination. The university has released the admit card through online mode. The syllabus for all courses offered by the university and its affiliated institutions is provided on the Symbiosis website. For B.Tech course, the exam is set from the subjects Physics, Chemistry and Mathematics of 12th class. Candidates have to study other subjects like logical reasoning, analytical reasoning, reading comprehension and general knowledge. Question: Can I apply for two papers? Answer: Yes, you can apply one in morning session and another in evening session. Answer: No, the application fee is non-refundable. Question: How much seats are reserved for Kashmiri Migrants? Answer: 2% seats are reserved for them. Question: Can I directly send the application fee to the SET account? Answer: Yes. You may transfer your SET test fee to Symbiosis Test Secretariat account using Net Banking option. Question: What ID’s I have to bring to appear in the exam? Answer: You can bring any one of the ID’s which are Passport/DL/PAN card/Voters Id/Aadhar Card. Question: How many times the exam will be conducted? Answer: It is conducted once in a year. Question: Should I report individually to the participating institution for counselling? Answer: Yes. After the declaration of the result candidates have to report to the institution in which they want to get admission. Candidates can view their SET result 2019 through online mode. The results will be made available on 14th May 2019. The SET score card will be available on the website for a period of one month from the date of declaration of results. SET application form 2019 has been released through online mode. SET registration has been started from 25th January 2019. The last date to register on the university website will be 21st April 2019. Candidates have to pay Rs. 1750/- as an application fee (for each test) and Rs. 3500/- for Two Tests (one from morning session and one for afternoon session). The application fee can be paid through online mode or DD. Sir, my son wish to write SET 2019 general. We are in Dubai now. Is there any exam centre available here? Or do we need to come to India to attend the online test? I want to do MA in yoga, please suggest some universities , and please inform me about application form available now. Their are many universities which are offering yoga courses. Is this exam also for MBA aspirants.? SET exam is for admission into UG courses in Symbiosis International University. Is chemical engineering studied in the symbiosis pune. You can also do the registration online. Fill our inquiry form given in the article and you will get the notification. Where am I supposed to write test? In home or in any centres? In my phone or what? My daughter is studying now CBSC 12th std. at Abu Dhabi Indian School. What is the procedure to participate in SET (General) Exam for NRI student? Is there any admission center available in Dubai / Abu Dhabi? My daughter is interested to pursue her higher studies in BBA – Finance. How to get the study materials for SET (General) examination while studying in Abu Dhabi Indian School? Go through the article for complete details. Which subjects are available with economics honors with Bsc? Iam studying iiit nuzvid.am i eligible to write exam? I have to write the entrance exam of bba in 2019 but at that time I will be waiting for my results of class 12 am I eligible to write the exam? Can you tell me on what basis is a student Appling or Seed judged?